IMSA has made some pretty bad decisions in recent years causing the Weathertech field to shrink substantially over the past year. Now they are requiring manufacturer’s to pay to race in the Weathertech series. The teams already pay an annual member fee and pay for each race they enter but now they need their car manufacturer to be register with IMSA by paying another fee. Based on this article by Marshall Pruett at Racer.com the fee appears to be $1 million. That’s $300,000 direct to IMSA and then the manufacturer has to set aside $700,000 for advertising expenses. In the past this fee was optional. If you wanted to race in a certain car, you could. But IMSA would only promote teams and list you in the GTD Manufacturer’s Championship when the manufacturer paid the fee. For 2016 this is no longer optional. If you want to race, your car’s manufacturer must register with IMSA by paying $300,000 and preparing to spend another $700,000 on advertising. This isn’t such an issue with the GT LeMans class which is full of giant manufacturer programs but it becomes a series issue for GTD which is mostly privateers. 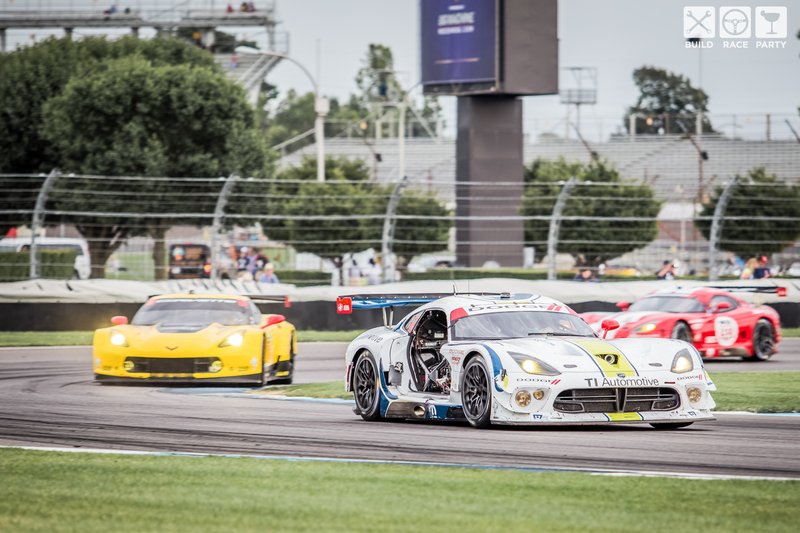 There were six manufacturers represented in GTD in 2015 and with GTD switching to GT3 rules for 2016 there are six more manufacturer’s that could show up to race. If they pay to play. So what’s this mean? In 2015, only four out of six GTD manufacturers paid for official status: Audi, BMW, Ferrari, and Porsche. All four have renewed for next year which is good news. According to Marshall Pruett’s article, Dodge will be represented and Lamborghini is all set with the Huracán GT3. He’s also heard that Lexus, who hasn’t confirmed its GT3/GTD program, will spend the $1 million as well. But Aston Martin, Bentley, McLaren, and Mercedes-AMG haven’t confirmed and its unlikely they will spend the cash to compete with IMSA making the Pirelli World Challenge series the place to be for GT3/ GTD. It’s pretty shocking to me that IMSA would take steps to exclude teams when their field continues to shrink and PWC’s continues to grow. But racing is expensive and takes money to put on a top level racing series. Hopefully more manufacturers think its worth a million dollars.